PharmacistCPD.ie is an online continuing professional development site for Irish pharmacists and healthcare professionals. It has been designed to assist pharmacists in meeting their continuing professional development requirements by providing them with educational and clinical content which has been developed specifically with pharmacists in mind. PharmacistCPD.ie is part of the Med iLearning.ie group – publishers of doctorCPD.ie, nurseCPD.ie and pharmacistCPD. Med iLearning is an Irish limited company. No 507062. Registered at: 7 Upper Leeson Street, Dublin 4, Ireland. Once registered with the site, pharmacists can access a wide range of educational content free of charge. You are invited to test your knowledge of specific clincial topics and review the latest information on this topic by completing teh relevant module/s. On completion of each module, module details and any learning notes which you have made, are automatically logged in the user's personal online CPD log (My CPD Profile) and a certificate of successful completion issued. 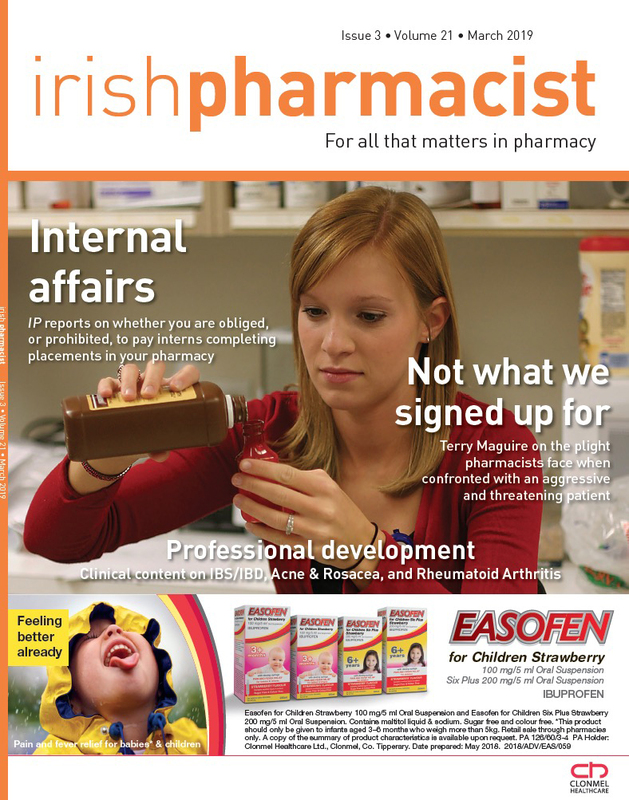 The content of pharmacistCPD.ie is provided by and reviewed, for the most part, by Irish pharmacists. Once you have registered with any of our sites you have access to all our CPD sites. You also have unlimited access to the digital versions of The Medical Independent, Nursing in General Practice, Update, and Irish Pharmacist. We welcome your feedback on PharmacistCPD.ie.